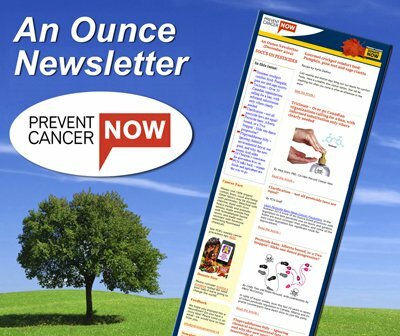 Prevent Cancer Now is dedicated to preventing cancer from environmental and occupational sources and promoting a safe clean environment for all life on earth in a healthy ecosystem. Nuclear facilities emit ionizing radiation and should be of great concern to everyone engaged in cancer prevention. Radiation is a known human carcinogen according to the International Agency for Research on Cancer (IARC) of the World Health organization and all nuclear facilities release radiation. IARC lists a number of radionuclides as proven causes of cancer including those produced from the mining, milling, manufacturing and use of uranium fission in nuclear power plants. It is now known that there is no safe dose of radiation and even the smallest dose can cause cancer and other health effects (1) . Following the serious and ever more dangerous crisis in the Fukushima nuclear reactors in Japan, radiation has increasingly been detected in the air, water and food not only in Japan but also in many other parts of the world. The health impacts will be widespread and this nuclear tragedy is among the worst in the world. Some reports are revealing the negation, denial, and cover ups by the nuclear industry, the International Atomic Energy Agency and supporting governments. This denial and cover up is similar to that following other major nuclear accidents, with their language is of “safe” and “allowable” levels of exposure to radiation. It must be understood that there is no safe dose. Since the nuclear industry and supportive governments routinely deny the health impacts of these carcinogens, it is critical that they be made widely known. Nuclear issues are related to vested corporate interests and are political. They must, therefore, be dealt with politically. Several years ago the government of Ontario announced that it planned to refurbish some older reactors in the province and build new ones at the existing site of the Darlington reactors on Lake Ontario. They recently held hearings on these Darlington New Builds with a federally-named Joint Review Panel. However, the fact that no one yet knows what reactor type is being proposed – other than that it will be a Generation lll design in contrast to the current CANDUs which are Generation ll – highlights the limitations, or one might say the absurdity, of these hearings. These are brand new reactors with new designs, all new prototypes which have not yet been used. Many deputations presented by health professionals, faith communities, environmental health groups, scientists and ordinary citizens opposed these new builds. Several deputations noted that the Generation lll reactors are likely to pose different though even more serious problems, since they will use enriched uranium whose even more toxic and long lived radioactive wastes have not been accounted for. Others related to costs, energy, waste, possible malfunctions and terrorism. A gender focus has also been a missing link in the general discourse of the health impacts of ionizing radiation with a few notable exceptions. It is important to consider the health impacts on women, the developing fetus and young girls’ breast in puberty. Thus, my deputation stressed the health of all life on earth and the ecosystems on which life depends. In particular, my focus was on women and children, our future generations. It was also disturbing that there had been no public assessment, during this review, of the need for or alternatives to the Darlington expansion to justify such a project. Many noted that the public should be extremely concerned that if expansion goes ahead, it will lock Ontario into nuclear dependence for many years to come because of the financial, policy and infrastructure support needed to implement it. It is now well known that clean energy technologies are evolving quickly and are already more cost effective than nuclear plants, so we must ask, is it not prudent to promote more of such sustainable energy options? In 1994, many health professionals, organizations, individuals and policy makers supported the Advisory Council on Environmental Standards Report (ACES, 1994) calling for the reduction and eventual elimination of the radioactive carcinogen, tritium emissions from nuclear facilities in Ontario. Many noted disappointment that the ACES recommendations were not adopted despite the fact that there were over 2000 letters and cards in support of them. Such a lack of response can only serve to dissuade citizen participation in such important processes. In March 2008, similar concerns were presented to the Ontario Drinking Water Advisory Council (ODWAC) on Tritium. The ODWAC recommendation (8) basically enunciated a long-held position that nuclear power is a toxic and expensive mistake that requires an orderly and determined phase out to ensure cancer prevention as well as the availability of public and private resources for developing a green energy future for Ontario. It recommended reductions in the current permissible limit of 7,000 becquerels per litre to 20 becquerels per litre. This is seen as a compromise between the needs of the Ontario nuclear industry – since man-made tritium is a byproduct of nuclear reactors – and the need to protect human health. This proposed standard was identical with a recommendation made by the Ontario Advisory Committee on Environmental Standards (ACES)(1994). At that time, the Government of Ontario did not accept the ACES recommendation because of political pressure, and there is no assurance that the present Ontario Government will accept ODWAC’s recommendation. In light of this report, many environmental an doccupational health advocates called on the current Ontario Environment Minister, John Wilkinson for leadership on this issue and asked that the ODWAC recommendation be part of a revised drinking water standard for public review and comment, since it was deemed imperative to place stringent controls on this type of carcinogen in drinking water. Now in 2011, it appears that there is a desire by the minister to ask for “other” information from other sources which will likely marginalize the ODWAC recommendations. Considering the earlier comments of Drs. Rudi Nussbaum and Robert Jacobs, this may not come as surprise given the drive to promote nuclear expansion. With an election looming in the fall of 2011, a discussion about clean and sustainable options to safeguard health and to limit climate change is essential NOW. Both the Liberal and Conservative Parties are likely to call for “full steam ahead” for nuclear power expansion, while the NDP and Greens argue for the more healthy sustainable policy. In my view, education and action regarding radioactive releases in our drinking water and air relating to radiation are often neglected in public discourse. Tritium is a known radioactive carcinogen, mutagen and teratogen (that is, it crosses the placental barrier to cause harm). It is routinely discharged from CANDU reactors into the drinking water. Tritium binds easily with organic molecules including DNA. As well as tritium, the CANDU reactor emits carbon 14 and other radioisotopes. While precise levels tritium discharges may not be known in the proposed new reactors, it warrants asking what they will add to the existing burden, as well as how and when we will know. Will it be after the fact? Why not draw on the precautionary principle of “reverse onus” and insist that the technology be proven safe before it can deployed? There are already routine tritium discharges into the drinking water of millions in the Greater Toronto Area from the Pickering and Darlington reactors and into Lake Huron from the Bruce nuclear reactors. The Chalk River reactors have had major spills and accidents of tritium into the drinking water of the millions of people deriving their drinking water from the Ottawa River. It makes sense to focus on the health impacts of ionizing radiation, primarily on women, the developing fetus and young girls. At the time of the ODWAC hearings in 2008, many organizations called for zero discharge of radionuclides into the drinking water in 5 years. It needs to be reiterated today that if that cannot be achieved, the existing reactors should be phased out and decommissioned and no new ones built. The Toronto Cancer Prevention Coalition (TCPC), (through its Occupational and Environmental Working Group has long been promoting the inclusion of tritium in the ODWAXC process. The group also endorsed an energy framework, principles and recommendations that called for a sustainable energy strategy for the province composed of a combination of measures, in the following order of priority: demand management (energy efficiency and conservation) approaches and supply from low-impact ecologically sustainable renewable sources rather than by nuclear energy. TCPC concurred with recommendations contained in the Pembina/CELA Report,”Power for the Future Towards a Sustainable Electricity System for Ontario”, that nuclear power plants be phased out by 2020 stopping all such releases. (9) Needless to say, the billions of dollars saved could be used for the most stringent energy efficiency and conservation – creation of negawatts, as Amory Lovins calls this transition) – and renewables). What is “acceptable risk” when it comes to health” is the question that must be addressed. What standards of risk assessment are safe enough when it comes to those “windows of vulnerability “during which rapidly multiplying cells of the developing fetus and young girls developing breasts in puberty are exposed to radiation as where the smallest amounts can cause havoc? Knowing as we do now that there is no safe dose of radiation and even the smallest dose can cause cancer and other health effects, Ontario should strive to eliminate risks to the environment and human health of its citizens. TCPC’s presentation to ODWAC highlighting the need to protect in particular, women, the developing fetus, growing children and young girls in puberty from exposures to tritium at any dose. We also noted humans can be exposed to organically bound tritium through ingesting plants and animals which have been exposed, in addition to direct uptake through inhalation, absorption and drinking contaminated water. Additional exposure causes additional risk. Since the Walkerton water tragedy, there has been a major focus on water quality in Ontario and in Canada as a whole. Environment Canada describes good drinking water as being devoid of disease causing organisms, harmful chemicals and radioactive matter such as radionuclides. The TCPC recommendations to ODWAC on tritium standards apply to the current new build Darlington reactor discourse on releases into drinking water as well. It is important to act politically in promoting them. 1. Reduce tritium levels in drinking water: Given that due to the cumulative and synergistic issues and numbers of chemicals and radionuclides to which people are exposed as well as threshold issues, it was recommended that more stringent standards be implemented immediately. Lower limits are achievable and it makes sense, at a minimum for now, to use the same idea of”acceptable” level of risk as ACES recommends for chemicals: immediate adoption of a 100 Bq/L standard, reduced to 20 Bq/L within five years. 2. Adopt more stringent standards for Ontario: Ontario needs to join other leading jurisdictions in the world with more stringent standards – the EU Tritium in water standard is 100Bq/L; California is at 15 Bq/L (voluntary check); and Colorado is 18 Bq/L. It is of great significance that Ontario Power Generation (OPG) has stated in their ISO 140001 QA documents that 100Bq/l is now an achievable standard for Tritium in water and, therefore, the reduction of 7000Bq/L to the federally proposed 3000Bq/L should not be acceptable. Thus, the ACES report recommending going from100Bq/L to 20Bq/L within 5 years is the standard we must agree to for this time. 3. Adopt the precautionary principle: The Ontario government must adopt the precautionary principle. Any erring should be on the side of caution when assessing the hazards of tritium emissions and should reiterate the ACES recommendations, that is decrease tritium standards from the current 7000 becquerels per litre (Bq/L) to 100 Bq/L and then to 20 Bq/L within five years, with the goal of zero discharge in ten years. If these recommendations cannot be achieved, existing reactors should be phased out and decommissioned and no new ones built. This is in keeping with the precautionary principle of “acting in the face of scientific uncertainty” which includes the principle of “reverse onus” – the demand of safety beforehand rather than having to provide proof of harm after the fact – which is usually the case. Canada has legal and policy commitments to sustainable development. These include the health of the planet that we depend on and are a part of. If approved, the Darlington New Build project would create unnecessary environmental and human health crises for future generations. It would also generate high level wastes in addition to those already being produced, with no safe management solutions. This will be a problem for millions of years, despite millions of tax dollars and many years of research and consultations with numerous informed professionals and concerned citizens. There are many organizations and actions to join with such as the Ontario Clean Air Alliance, the Canadian Environmental Law Association, the International Institute of Concern for Public Health, Northwatch, Greenpeace and others. Please see the information appended below and feel free to share it around. “The Petkau Effect”, Revised Edition, 1990, by Ralph Graeub, Translated from German by Phil Hill, and published by Four Walls Eight Windows, New York, 1994. ISBN: 1-56858-019-3. “Having Faith: An Ecologist’s Journey to Motherhood,” Sandra Steingraber. New York: Perseus Publishing, 2001. “The Safety of Ontario’s Nuclear Reactors” (The Select Committee on Ontario Hydro Affairs, 1980). “Report of the Porter Commission” (on the increasing levels of radionuclides in the Great Lakes, 1978). “Committee Examining Radiation Risk Internal Emitters,” (CERRI Report, UK, http://www.cerrie.org/). Mangano, Joseph,”A Short Latency Between Radiation Exposure from Nuclear Plants and Cancer in Young Children.” International Journal of Health Services, Volume 36, Number 1, (113-135), 2006. Rubin, Norman.”Excesses of Childhood Leukemia and Birth Defects Around CANDU Stations.” February.16, 1994. 1. Biological Effects of Ionizing Radiation Vll (BEIR), National Academy of Sciences, 2005. 4. Canadian Press, April 15, 2011. 5. Please see No Nukes News, appended, illustrating many examples of radiation exposures elsewhere as well as more information about the situation in Japan. Check out No Nukes News, Newsletter of the Ontario Clean Air Alliance. Fukushima: A ‘nuclear sacrifice zone’. Some experts believe Japan’s nuclear disaster could become worse than Chernobyl. For more updates on Japan’s nuclear crisis see here. Lake Ontario Waterkeeper explains why new reactors at Darlington will hurt Lake Ontario. Northwatch discusses the radioactive wastes that would be produced by new reactors at Darlington. Canadian Environmental Law Association tells the panel that legally alternatives to nuclear must be assessed before any approval to new reactors is given. Greenpeace’s Shawn-Patrick Stensil asks the review Panel to reject Ontario’s request to build new reactors at Darlington. Dr. Helen Caldicott’s discusses the potential health effects of building new reactors at Darlington. Theresa McClenaghan, Executive Director of the Canadian Environmental Law Association discusses the risks of accidents from new reactors at Darlington. Northwatch’s Brennain Lloyd talks of the threats of radioactive waste on Northern communities. Beyond Nuclear’s Kevin Kamps discusses the hazards of long-term radioactive waste production. Sign the Petition Calling for a Moratorium on New Nuclear Projects in Ont. How nuclear apologists mislead the world over radiation. Manitoba’s forgotten nuclear accident. The public apparently does not have the right to know about the details of nuclear accidents; nor does the body that recommends safety standards have any teeth to make the corporate world adhere to them. Open letter to Energy Minister Duguid re: energy efficiency programs from Mike Schreiner, ON Green Party Leader. Please click here to send a letter to Ontario’s Energy Minister Brad Duguid re: funding for energy efficiency programs. Doctors and nurses back wind and solar power. Fantastic 84 minute film with global enviro leader Lester Brown. “Plan B” provides a glimpse into a new and emerging economy based upon renewable resources as well as strategies to avoid the growing threat of climate change. As prices rise, oil insecurity deepens, and concerns about carbon emissions cast a shadow over the future of fossil fuels, wind, solar, and geothermal energy are replacing fossil fuels at a pace and on a scale previously unimagined. Order FREE anti-nuclear and anti-coal leaflets here, including postcards to politicians. The nuclear cost shell game. Cancer, Deformities and Chronic Diseases. No New Milk, Rain or Drinking Water Sampling for another Three Months. Please lend your voice to those who support a green energy future. Ontario’s Progressive Conservative leader Tim Hudak stated that if elected he will scrap North America’s best renewable energy policy and send us backpeddling to the dark ages of dirty, dangerous electricity. This would be a huge set-back in the fight against climate change and air pollution, undermine our efforts to improve our energy security, throw thousands of people out of work and erase billions of dollars of new investment in our economy. The Green Energy Act is our path to a cleaner, more prosperous province. Please write Tim Hudak and tell him what you think.